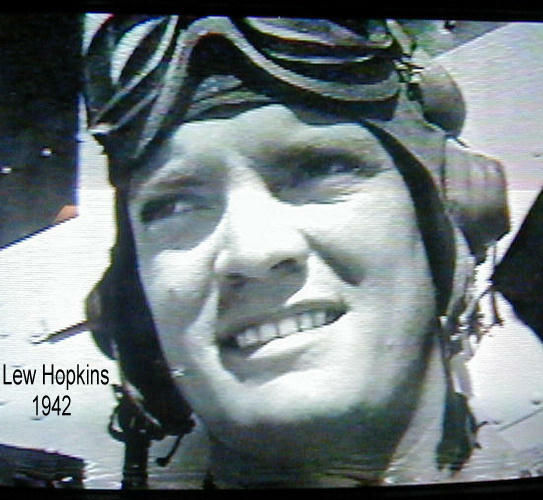 Left: Hopkins in 1942. 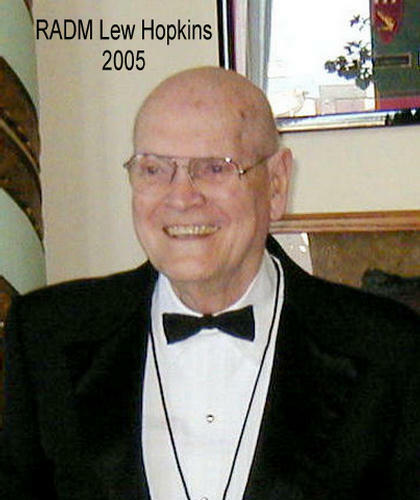 Right: Hopkins at the 63rd BOM commemoration, San Francisco, 2005. Lew Hopkins entered the Navy in 1940 as an apprentice seaman and retired after 34 years of service as a rear admiral. He was a VB-6 pilot during the BOM, and thus a participant in the crucial strike by Enterprise dive bombers that crippled both the Akagi and Kaga during the carrier battle at Midway. Over the years he made many contributions to the Roundtable’s detailed knowledge of flying the SBD in battle, and especially concerning the momentous and somewhat controversial dive upon the enemy carriers by VB-6 and VS-6.